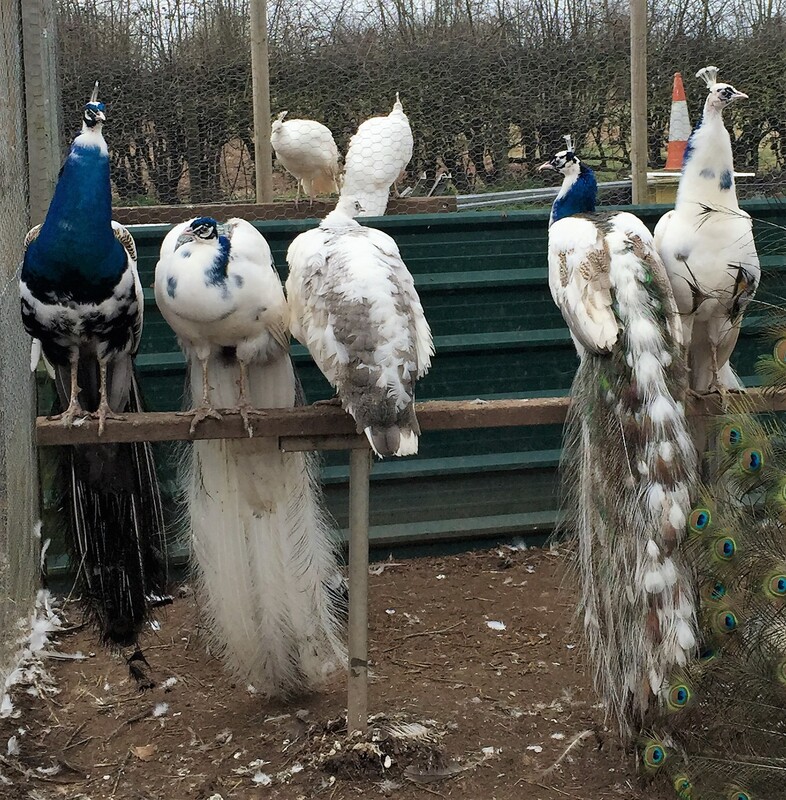 Protect peafowl from the weather, we tell you how! It is important to protect peafowl from the weather. Peafowl hate the rain and wind, they will run to get out of the rain! Consequently adequate shelter should be provided for them to perch out of the rain and other elements. This protection could be trees for them to roost in or provisions made in barns or other outbuildings. Outbuilding may need to have perches installed for the peafowl to perch on. Remember where the peafowl are perching there will be peafowl droppings on the floor. A perch inside a garage where cars are regularly parked would not be suitable. You would need to protect the paintwork on your car! In cold weather some breeds such as Java green peafowl will need protection from the frost as they are less hardy than other breeds of peafowl. During frost Java peafowl should be inside a building for protection which will be warmer. Java peafowl can freeze so in colder climates some owners will use heat lamps during the winter. If peachicks are reared naturally with the peahens, the peahens will keep the peachicks warm under her wings on colder nights. Incubated peachicks will need heat lamps during cold weather during the first winter. This is because the peachicks have not grown enough downy feathers by the first winter to keep them warm.